Years after the fact, I realize that it might behoove me to make a slightly different dream come true for her, because neither of us is so great with heights, let’s just say. 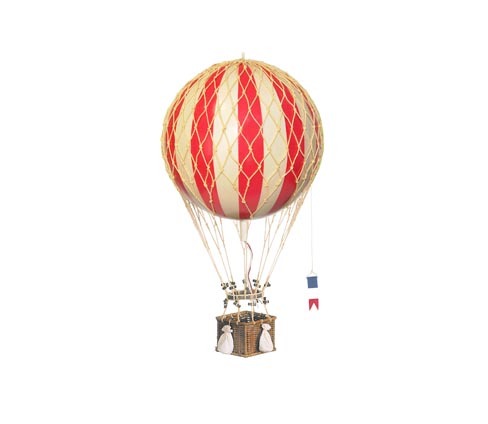 But I think we are both understandably swoony about the idea of the idea of a hot air balloon voyage. There’s a certain romance to seeing the world from a different perspective and, well, drifting aimlessly over verdant pastures with a glass of champagne in hand. There’s also a certain adventurous spirit to getting into a balloon and not knowing just exactly where you’ll land. Throughout history, dreamlike stories and romantic adventures have always attached themselves to balloons. Some are factual, some are pure fantasy, many (the most interesting) are a provoking mixture of the two. But some kind of narrative basket always seems to come tantalisingly suspended beneath them. The Wright Brothers get all the press for developing the bird in question, but it is only after reading Holmes’ book that we recognize how much the Wrights owe to these early — and largely unknown — pioneers of flight. Holmes’ narrative teems with all sorts of strange characters who took to the air in the spirit of education and entertainment alike. 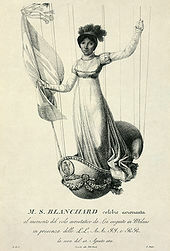 One of my favorite stories is about Sophie Blanchard, a woman who overcame debilitating anxiety to become Napoleon’s Aeronaute des Fetes Officielles. She was renowned for standing in a silver gondola and drifting high above Paris in a white, low-cut dress and a hat full of colored feathers. Over time, Blanchard’s aerial shows became more daring, involving fireworks, colored smoke and rockets that flew from her delicate rig. Her daring cost her her life on July 6, 1819, when her silk balloon caught fire and sent her falling to her death. The stunned crowd originally cheered because they thought that the flames were all part of the show. In a few seconds, the poor creature, enveloped and entangled in the netting of her machine, fell with a frightful crash upon the slanting roof of a house, and thence onto the street, and Madame Blanchard was taken up a shattered corpse! Although Blanchard was one of ballooning’s first casualties, she was a trailblazer, and filmmaker Jen Sachs is currently turning her life story into a beautiful animated film that is scheduled for release next year. But there were some near-absent trailblazers in this otherwise delightful book: The Montgolfier Brothers, who invented the hot air balloons that started all the fuss. I would have liked to have read more about them here, but Holmes is such a good raconteur…that it’s okay. Really. Drifting through these tales of a really rich and overlooked period in history was a fun ride.